Coordinates PAT exams, prep sessions and work experience. 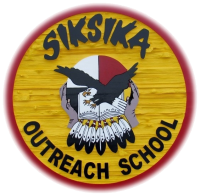 Works hard to create a safe, supportive, respectful learning environment based on the balance traditional values, Siksika ways of knowing and academic excellence. Offsite curriculum consultant for grade 7-12 Social studies, English and CTS courses and diploma prep sessions and school wide testing.